Sure, there are some widely known recommendations for improving meetings – e.g. set an agenda, start on time, invite the right people, even hold “standing” meetings (where participants are more likely to hustle through their material) – but those are Band-Aids. While experts in time management and leadership skills spin their wheels offering advice to cure the common meeting, I’d like to propose that we look at the root cause: communication. I believe communication skills and practices are key to organizational effectiveness and most definitely to the effectiveness/ineffectiveness of meetings. After all, what are meetings if not a venue for people with common interests and issues to come out of their proverbial cubbies and gather to communicate? Meetings are the purest and most ubiquitous venue for communicating face to face about business matters. This is different from setting an agenda, which you should do also. This is also more definitive than stating a purpose. Articulating your desired outcome is the context—and expectation-setting that most meetings lack. It is stating – in the first 10-30 seconds (or less, ideally) – exactly what you want to happen by the end of the meeting. For example, “By the end of this meeting, I would like to …” get everyone up to speed, come to a consensus or decision, get approval, confirm next-step assignments. It’s not a restatement of the topic of the meeting – e.g. Project ABC – it’s more of a directive or call to action around Project ABC. I call it a focal point, and it’s something you state at the very beginning of the meeting, reinforce in the wrap-up, and utilize throughout to dial back the inevitable digressions and diversions. From where I sit, the cancer that eats away at an otherwise healthy meeting is too much information, too much detail. There are lots of reasons for this, not the least of which is the presence of participants who feel the need to prove their competence or worth by sharing everything they know. But it’s inefficient and, frankly, not at all helpful unless the info is packaged inside of a point. Simply put, a point would be a summary statement that captures the importance, significance or value of the info. Information or detail on its own is not memorable or meaningful; it requires packaging or being contained inside of a point in order for other people to understand or retain it. Communicating effectively is all about prioritizing, and this is especially essential in a meeting when participants are contributing the scarce resources of their time and attention. If you consider that prioritizing implies a hierarchy, and you picture a pyramid, then what we’re talking about is putting your point (capture or summary statement) at the top of the pyramid with the detail underneath, appearing in descending order of importance so you know to deliver the most important pieces first – and maybe only. Let’s face it, people come unprepared to meetings, which is not helpful (#understatement). A room full of people who plan to “wing it” for an hour or more? That’s not very nice, and for sure not effective. Communication isn’t like breathing, i.e. it just happens, it requires preparation in order to be useful. Preparation shows respect – for your work, your organization and your colleagues. If you’re the meeting leader, you want to have an agenda prepared, and you want to know your focal point – what is your directive or call to action for everyone once they leave the room or the conference call? If you’re a meeting participant, prepare ahead in point/detail hierarchy if you know you’re on the agenda. If you’re not sure you’ll be speaking, you should still be prepared with succinct questions you might have or with a brief statement on your area of responsibility. If you find that you or other participants are not prepared, reschedule the meeting. If you find that people are meandering or “processing out loud” in the meeting because they didn’t prepare ahead, then cut the meeting short. This is not “punishment,” it’s an acknowledgment of reality and perhaps a little bit of behavior modification. Don’t set them just for internal meetings but for external meetings as well. I’ve had several clients come to me for communication skills training because they want their teams to be sharp in new business presentations. 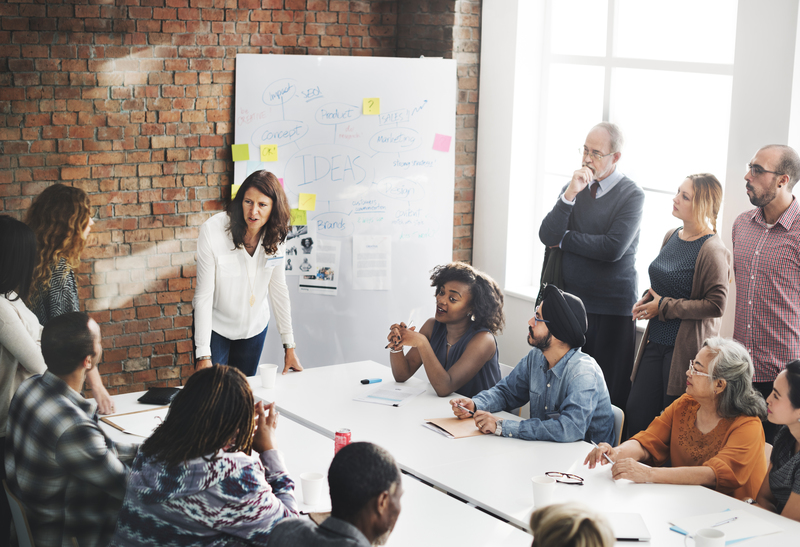 As soon as I raise the question, “Well, what about regular meetings, don’t you want your people to give clients a good experience in regular meetings too?” they jump right on board. A starter set of standards would begin with principles like always being prepared, containing detail, and articulating a desired outcome. Those alone would raise the level of meeting effectiveness simply by not letting people ramble. Communication is the currency of success. It’s how we get things done; it’s how we achieve goals. Meetings are meant to provide a venue for collaboration and communication so that things get done and goals are achieved. I’m an evangelist for better communication skills in any setting, but there’s no question that holding ourselves and others accountable for better communication skills in meetings would go a long way toward curing the common meeting.